- I find an interesting comparison between the third basemen in this game, Tigers' rookie Nick Castellanos and the Royals' Mike Moustakas, who is back in the major leagues after being banished to the minor leagues earlier this season. Coming up, Moustakas was one of the most celebrated prospects in baseball. Castellanos, coming along a couple years later, was kind of in the next tier. But right now, who would you rather have? I'd say Castellanos, although both have been hitting well lately. - I didn't mind as much that Eugenio Suarez was bunting for a hit in that spot as if it were a pure sacrifice, but he bunted a very good pitch to hit. I'd rather see the kid keep swinging away while he is on such a roll. 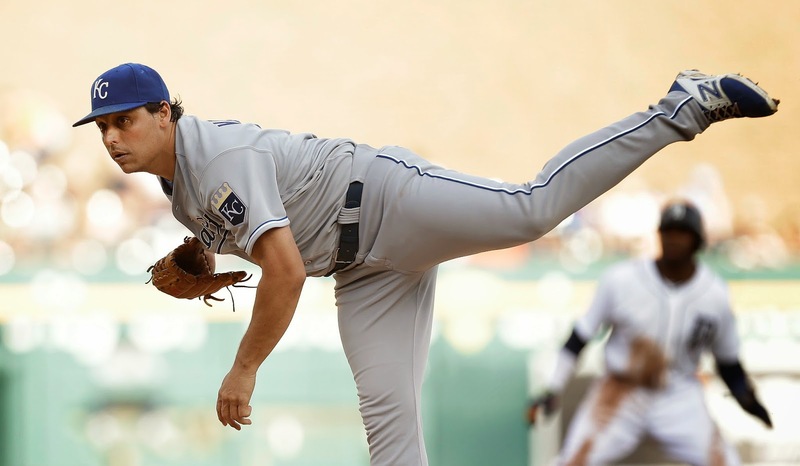 Jason Vargas is the ideal pitching matchup for Suarez. He is also an ideal matchup for Rajai Davis. It's not a coincidence Davis clubbed that RBI double off him. - So far, so good for Justin Verlander. His issues, in my opinion, aren't so much velocity as command of the baseball. It's been pretty good so far.